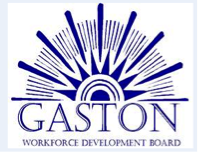 Gaston County has three Career Centers available to provide services. These locations offer employment services to both individual Job Seekers, as well as Employers. Click here for directions to our Career Centers. Individuals can obtain assistance with Resume Preparation, Career Development and specific skills training. We hold Job Fairs, as well as being able to direct you to potential employers. Employers utilize these locations for Job Fairs, Interview sites, and as a place to conduct skills training. You can find more specifics on our Gaston Career Centers website.